The recognition and enforcement of legitimate expectations by courts has been a striking feature of English law since R v North and East Devon Health Authority; ex parte Coughlan  3 QB 213. 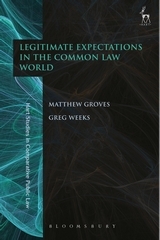 Although the substantive form of legitimate expectation adopted in Coughlan was quickly accepted by English courts and received a generally favourable response from public law scholars, the doctrine of that case has largely been rejected in other common law jurisdictions. The central principles of Coughlan have been rejected by courts in common law jurisdictions outside the UK for a range of reasons, such as incompatibility with local constitutional doctrine, or because they mark an undesirable drift towards merits review. The sceptical and critical reception to Coughlan outside England is a striking contrast to the reception the case received within the UK. This book provides a detailed scholarly analysis of these issues and considers the doctrine of legitimate expectations both in England and elsewhere in the common law world. 7. What Can We Legitimately Expect from the State? 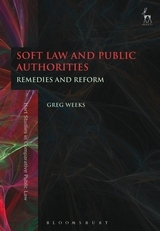 Greg Weeks is Associate Professor and Deputy Head of School in the ANU Law School at the Australian National University.